Dementia doesn’t happen overnight. Neither does getting a diagnosis. Still, when we think of a diagnosis, we often think of the next steps as "decline." A gradual slipping away of memory and function. But what if we thought of dementia differently? What if we looked at receiving a diagnosis as the beginning of a new way of thinking and living? For the estimated 5.7 million Americans with Alzheimer's or related dementia (per the Alzheimer's Association's 2018 Facts & Figures report ), every day is different. No two diagnostic processes are the same. No two journeys through the stages of the disease are the same. No two caregiving scenarios are the same. What is the same across the board? Ability. All people with Alzheimer's still maintain some level of expertise, and any supports implemented following a diagnosis should emphasize and seek to preserve those abilities. Will Dieter, PT, DPT, GCS, is director of physical therapy clinical services and the geriatric residency at Fox Rehab. Dieter shared some expert insights on the process of diagnosis and what comes next — both for caregivers and the newly diagnosed. Why Should You Get a Diagnosis? The most important thing to remember about dementia is that it’s not a normal aspect of the aging process. In other words, while the risk increases with age, just because a person is aging does not mean they will get dementia. Occasional forgetfulness happens to people of all ages and should not be the sole indicator of dementia, or the main reason a person pursues (or a caregiver urges the pursuit of) diagnosis. Dieter suggests tracking changes and patterns over time. Is Mom misplacing her keys on a regular basis — and not just losing them, but also forgetting their purpose? Is Dad putting things in the fridge that belong in the cabinets and vice versa, and is he doing this almost daily? Other signs and symptoms can be found in this infographic from the World Health Organization . Another complicating factor? Many individuals are aware of the changes in their minds and bodies and can compensate for their gradual loss of cognitive function (essentially, covering for their deficits), Dieter explains. So when a diagnosis is considered, they’re often midway through the disease process. Getting a diagnosis as soon as possible allows health care providers to work with caregivers and persons with dementia to treat what’s treatable and provide specialized care for each disease stage, says Dieter. What’s Involved in the Diagnostic Process? According to the Alzheimer’s Association, there is no single test that shows a person has Alzheimer's. Though it’s still difficult for experts to pinpoint the exact cause, a thorough medical evaluation is critical to determining whether a person has dementia. How accurate will the diagnosis be? Experts believe a skilled physician can diagnose with more than 90 percent accuracy, per the Association. There are four parts to the diagnostic process: a thorough medical history, mental status and mood testing, a physical and neurological exam, and tests (such as blood tests and brain imaging) to rule out other possible causes of dementia-like symptoms. 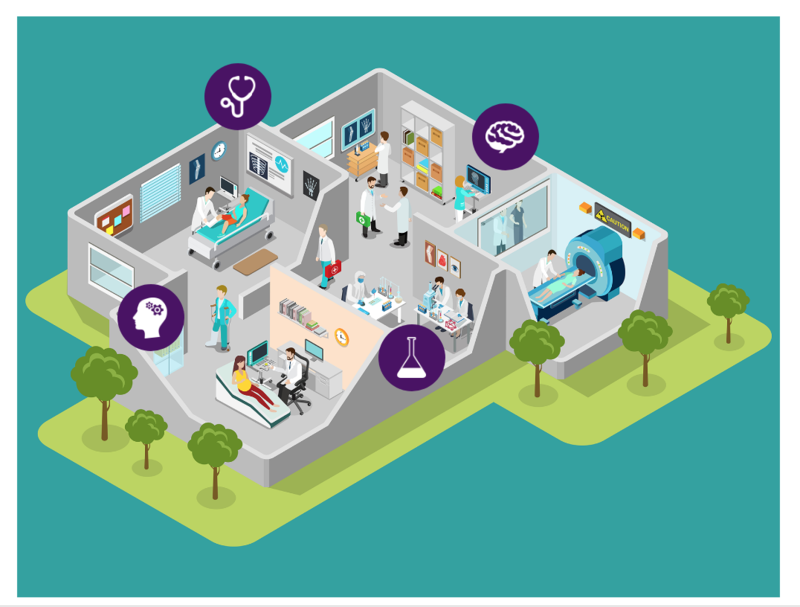 Do a visual walk-through of the diagnostic process via this helpful interactive from the Alzheimer’s Association. How Do You Preserve Independence? After a full medical evaluation leads to a diagnosis, the temptation for caregivers may be to take over: doing things for the individual (like bathing and dressing) that the person can still do. But independence is not only emotionally important for the person who's been diagnosed, but it's also a powerful way to prevent decline, says Dieter. The sooner you stop letting the individual do things for his or herself, the faster the decline moves. The goal of any support a caregiver provides following a diagnosis should be comfort and independence. Amending physical activities to suit the person’s changing abilities helps build reserves of motor and muscle memory, says Dieter. And the more independence you build in at the beginning, the longer the individual should be able to maintain it. A multidisciplinary team of a physical therapist, occupational therapist and speech-language pathologist can provide specialized services that wrap around the individual and help “train the brain” — as well as teach the caregiver vital tools for daily life for the 23 hours after the therapy session is over. Though decline is inevitable, therapeutic interventions should not stop at diagnosis. Regular activities and hobbies that your loved one enjoys should not stop either. If your Mom loves trivia, find new ways to play if she can’t read or understand what’s on the cards anymore. If your Dad loves gardening but struggles with balance and coordination because of dementia, do window boxes, or set up an herb garden in the kitchen. Again, building up that cognitive reserve keeps decline at bay, says Dieter. Routines, bulletin boards, written lists and labels are also helpful tools for preserving independence, says this VeryWell article . Caregivers and individuals with dementia will always benefit from a network of support, but what that network looks like may be different from person to person. A home care provider can fill in the gaps for families, but many older adults often resist the idea of having someone come into the home, fearing it means a loss of independence and privacy. As with the multidisciplinary team, a home care provider should increase your loved one's capacity, not hinder it. A professional caregiver can work alongside a family caregiver for success, both for the problematic present and the even more difficult future stages. The diagnosis is just the beginning. Click here for more information on why caring for a loved one living with dementia is the ultimate challenge.